By our baptism we are called to make manifest God’s love in the world. No greater opportunity exists than in the parish outreach programs to serve the poor in our midst. 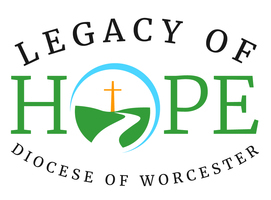 Through the Legacy of Hope campaign we will create a $2 million endowment dedicated to localized social and charitable outreach.Each year this new fund will make grants available to parishes in order to assist them in the creation or expansion of localized outreach ministry programs. This campaign is a great opportunity to strengthen the ability of parishes to offer hope in our neighborhoods through such charitable outreach.